There's no question that Diane Von Furstenberg is one of the most accomplished female fashion designers in the world: with a career spanning over forty years, the once princess-turned-entrepreneuer earned her title as "the most marketable woman since Coco Chanel" (as Newsweek once put it). Still, much of her success is owed to one single garment: the wrap dress. But, to my surprise, she didn't always love her iconic design. In face, Diane Von Furstenberg once resented the wrap dress. In a recent interview with the Wall Street Journal, Von Furstenberg spilled her true mixed feelings on the beloved frock that has become so legendary it had its own birthday celebration and exhibition this past year. She told the WSJ, “It’s so funny because for years, even though I owe everything to the wrap dress — it paid all my bills, it paid for my children’s education, it paid for my freedom and it paid for my fame — I kind of took it for granted. Sometimes I even resented it when people said ‘Diane von Furstenberg is the wrap dress." I suppose it would be a little annoying if after everything you had achieved in your fashion empire was reduced to one dress you designed four years into your career. But the wrap dress was so much more than just a trend. The impact it left was far greater than that, but it wasn't until after "The Journey of a Dress" exhibition in Los Angeles, which celebrated the 40th anniversary of the wrap dress, that Von Furstenberg acknowledged what the jersey frock had done for her career and for the women she designed it for. "I looked at it all of sudden, not just for what it’s done to me, but for the impact it’s had on our society. It really liberated women," said Von Furstenberg. "I get up early, I’m very busy, but I’m very excited…because I can look back, and I have created a dress that has lived that long, and that has never happened to a dress before." Exactly. 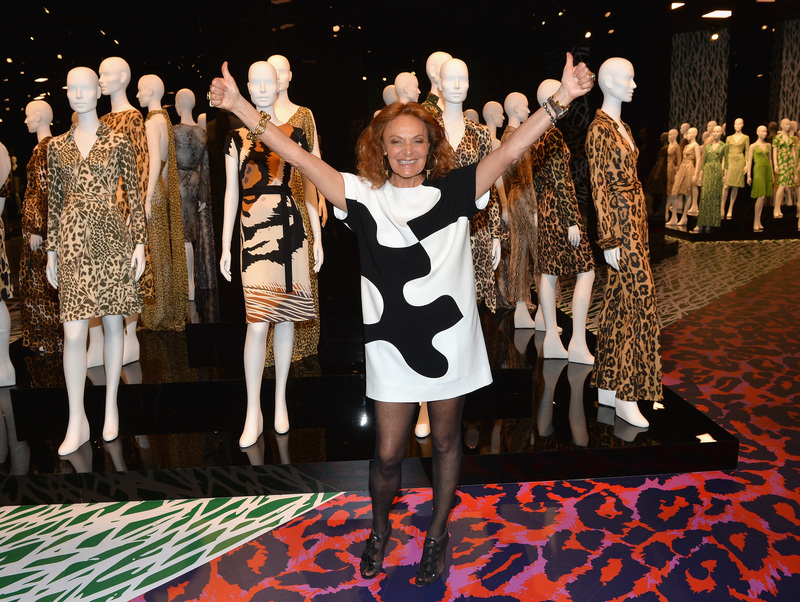 Keep on killin' it, DVF.